Immigration authorities have no intention of reuniting parents separated from their kids until they're about to be deported or released from detention. McALLEN, Texas — Two months after the Trump administration began separating children from their parents along the US–Mexico border, immigration authorities said they have no plans to reunite children with their parents after the parents' illegal-entry cases have been resolved but their immigration case is still pending. Nearly 2,000 children were separated from their parents in the first six weeks of the policy, ending May 31, according to statistics released by the Department of Homeland Security. But how many of those children's parents — DHS said the 1,995 children who'd been separated had been accompanied by 1,940 adults — have already had their illegal-entry cases resolved is unclear. Most such cases are resolved within days or weeks. Danielle Bennett, a spokesperson for Immigration and Customs Enforcement (ICE), the agency with responsibility for enforcing immigration law, said authorities have no intention of reuniting the parents until they're about to be deported. "Reunification typically does not occur until the removal stage of the process, but depending on the circumstances of the case, reunification could occur sooner," Bennett told BuzzFeed News. "The logistics of the reunification are made on a case-by-case basis." But she said she could not give statistics for the number of families that have been reunified since the "zero tolerance" policy was announced. Nor could she give examples of a successful reunification. "We don’t have any metrics to provide at this point and we wouldn’t proactively give examples of this," Bennett said. The Trump administration's "zero tolerance" policy that calls for all migrants caught crossing the border for the first time to be charged with illegal entry ends up systematically separating families because children can't go with their parents who are being detained by the US Marshals. But people charged with illegal entry go before a judge within days or weeks of their detention and are usually sentenced to time served for the misdemeanor. There appears to be no set procedure for what happens with parent and child after that. It can take months or more than a year after the illegal entry charge is resolved. That involves coordinating with the Office of Refugee Resettlement (ORR), the Department of Health and Human Services (HHS) agency that assumes custody of children separated from their parents. "Once a parent is prosecuted and the child is placed in ORR custody, ICE will make every effort to reunite the child with the parent once the parent’s immigration case has been adjudicated," ICE said in a statement. A fact sheet from Customs and Border Protection says children can be reunited with their parent after the parent has been released. Though most of these parents will remain in immigration jails until their case is finished. "A parent who is prosecuted and later released can be a sponsor and ask HHS to release his or her child back into his or her custody," CBP said. However, ICE apparently has taken steps to reunite families if the parent is to be deported. The agency said it was exploring the use of Port Isabel Service Processing Center in Texas as a primary family reunification center, but only if the parent is to be deported. 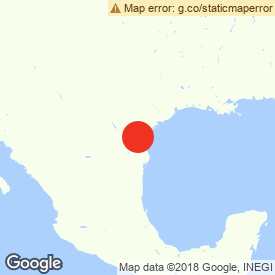 It is very likely that other detention facilities will be used as well, but the one in Los Fresnos, Texas will serve as the primary location for new cases. "Parents and legal guardians who have been recently arrested, criminally prosecuted and are awaiting removal will typically be detained there, and ICE will work with the detained parents to provide regular communication with their children," Bennett said. "No children will be housed at the facility. ICE is attempting to have the parents at the facility from the beginning of their detention and throughout proceedings." HHS was unable to provide any specific instance of a child being reunited with a parent who'd completed their sentence under the zero-tolerance policy or to provide general numbers on such reunions. Lee Gelernt, the deputy director of the American Civil Liberties Union's Immigrants’ Rights Project, who is the lead lawyer suing the Trump administration for separating immigrant parents from their children, said immigration authorities are not reuniting children and parents even after the parents have served their time, which is usually two to three days. "Kids are just languishing for months in foster families or government facilities," Gelernt told BuzzFeed News. "If the government is saying there is some process for reuniting them promptly, we haven't seen it." Gelernt said one of the ACLU's plaintiffs had been released after a few days in jail for illegal entry. Eight months later, she still hasn't been reunited with her child. "Even before they're released they can be detained together with a child at a family detention center," Gelernt said. A 4-year-old boy weeps in the arms of a family member as he and others were apprehended by Border Patrol agents after illegally crossing into the US from Mexico near McAllen, Texas. In May, Attorney General Jeff Sessions acknowledged that the new policy of prosecuting every migrant who crosses the southwest border illegally would result in family separation. The Migration Policy Institute said the proportion of migrants traveling as unaccompanied kids and families has increased has increased in recent years. In 2017, 25% of migrants apprehended were traveling as families, compared to 3% in 2012. So far in 2018, 36% of people arrested at the border were either families or unaccompanied children, compared to 10% in 2012. Oregon Sen. Jeff Merkley, a Democrat who led a delegation of lawmakers to see the impact the "zero tolerance" policy was having on the border on Sunday that included visits to Border Patrol processing centers and stations, said he hadn't received a clear answer on the how the government planned to return children to the parents, in particular in the case of asylum-seekers. "My impression has been that in general many are not being reunited after they do their time served ... that they are in fact not reunified while awaiting their asylum claim," Merkley told BuzzFeed News. "There's great confusion on this point." Rep. Pramila Jayapal visited the SeaTac Federal Detention Center in Washington state to look at conditions and speak with 174 immigrant women detained inside. The prison is one of the locations where immigration authorities are sending immigrants in response to a surge in illegal border crossings and implementation of the US Department of Justice’s zero-tolerance policy. In a statement, Jayapal said most of the women were asylum-seekers, a majority from Cuba and Central America.